You Only Really Need One Word A Day It's Our "Show and Tell" Feature! I’m an avid journal-keeper. I have seven volumes of journals listing the books I’ve read and their star-rating. I have dream journals going back to 1995. Art journals. Floor-plan journals. List journals. And many, many more. You can guess that all of these journals can take a lot of time to keep up with! 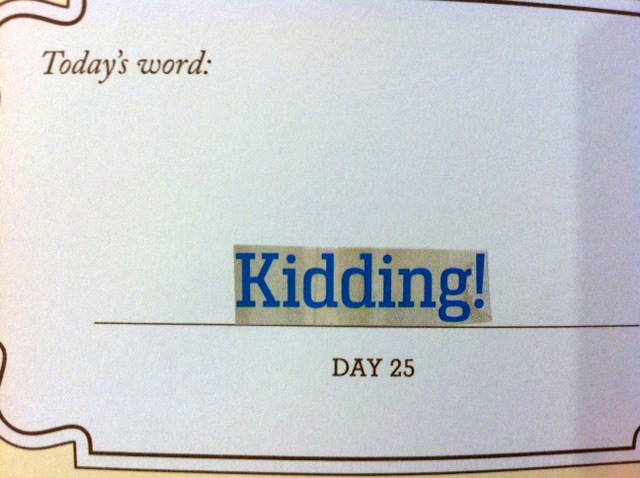 So suffice it to say that I was super-stoked when the brilliant and creative minds at Knock Knock devised the One Word a Day journal. This totally cute, charming little book is the answer—it quenches my journaling needs amid my busy schedule. 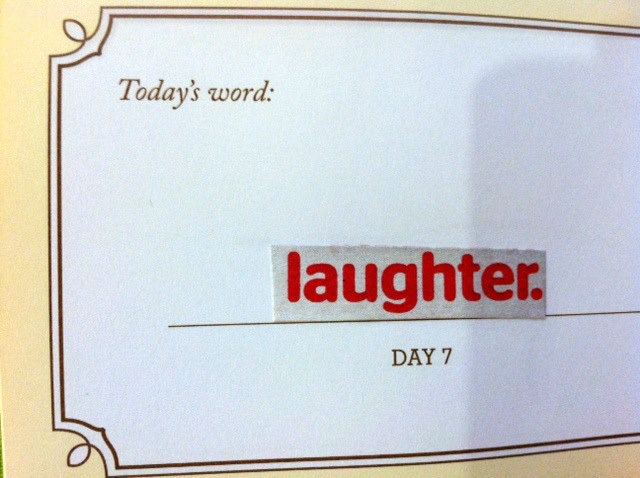 All that’s required is one word per day. That’s it. No long sentences or drawn-out descriptions of my day, just one simple word to summarize everything I feel and all that happened. To take it one step further, I decided to take words from printed pieces around me to help recount my day. 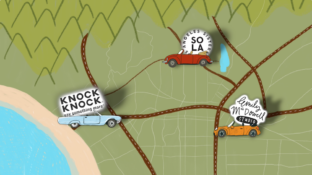 These could be from those pesky newspaper inserts, or magazines, or whatever. Let’s take a peek in my own journal, shall we? 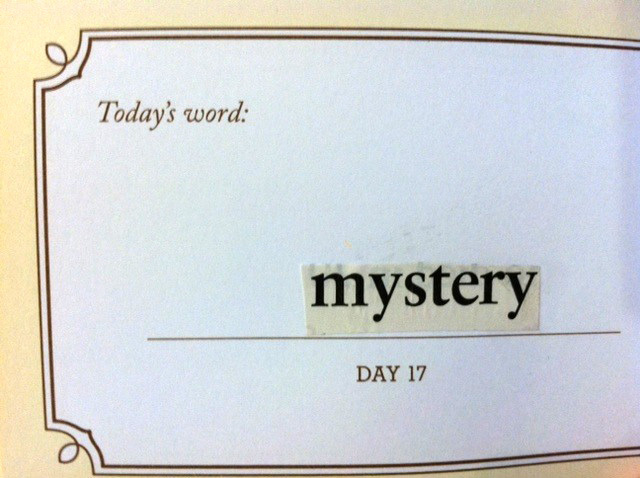 Day 17 was much more of a mystery. Without revealing too much, I'll just say there were things that didn't make any sense on that day. Day 25 cracks me up because it was such a perfect find in the magazine I was reading. Does the exclamation point count as part of the word? 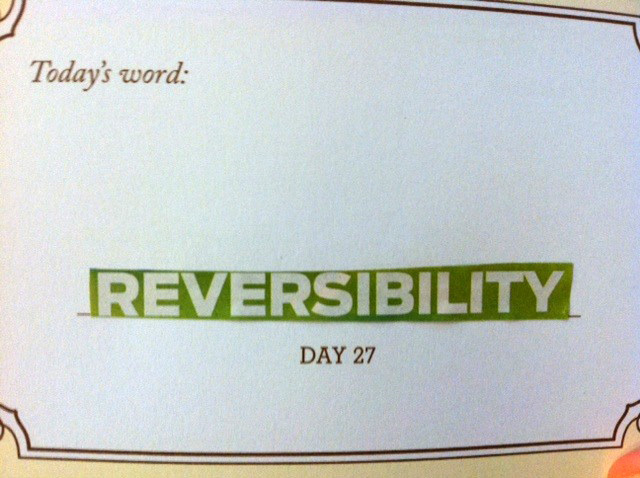 And as a final sample, Day 27 has a slightly more complicated word. At the very gist of it, consolidating my day into one term is like my mind’s own exhale, the final cherry on top before I hit the hay. So don’t be shy—nab one for yourself and tell us what your word of the day is!